Innatoss aims for first- or best-in-class products, that are accepted by patients, physicians and healthcare providers alike. Innatoss’ mission is to significantly reduce health problems associated with infectious diseases by providing diagnostic tests that allow for adequate and timely treatment, and to promote the use of these tests in clinical practice. The Innatoss team exists of professionals with extensive experience in the pharmaceutic and diagnostic industry, as well as starters. Innatoss is located at the Pivot Park, an industry park in Oss on which many life science companies are located and that provides facilities to the companies for common use, such as for example a robotic high-throughput screening facility. The combination of knowledge, experience and energy gives the Innatoss team the inspiration and drive to successfully make Innatoss to a leader in the field of diagnostics for infectious diseases. 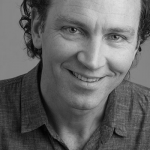 Dr. Garritsen has a PhD in molecular pharmacology and is founder and CEO of Innatoss Laboratories. Dr. Garritsen has broad expertise in the Life Sciences. She was former department head Immunology at Organon/MSD and effectively led various teams at Organon/Schering Plough/MSD in biotechnology, assay technology, biomarkers, 'omics', protein crystallography, antibody generation, in vitro and in vivo pharmacology. Therapeutic focus: immunology, inflammation, and infection. Dr. Garritsen will be the scientific coordinator of the ID-Lyme project. 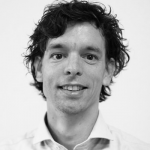 Mr. van der Zanden is responsible for marketing and sales at Innatoss. He has extensive experience in global marketing and product development and will coordinate the commercialization and regulatory aspects of the Ixodes kit. 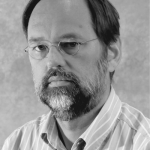 Dr. Kouwijzer is the dedicated staff member for quality management and IT at Innatoss. 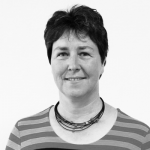 She has extensive experience with the ISO 15189 and ISO 13485 standards. She is also responsible for IT and data management within Innatoss. Dr. Hamersma received a PhD in Organic Chemistry. At Organon/MSD, he started in the field of CNS before switching to Reproductive Medicine, spending a sabbatical at the Organon Laboratories in Newhouse (Scotland). In the course of many years, he led various research projects in the field of contraception and hormone-dependent tumours. At innatoss, he is responsible for the project management of the ID-Lyme project. 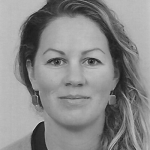 Marlies van Lent has a PhD in Medical Sciences and is involved in the clinical part of Innatoss projects on Lyme disease and Q-fever, including the ID-Lyme project. 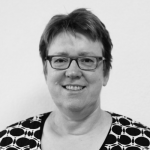 She previously worked as clinical research coordinator at the department of Hematology at the Radboud University Medical Centre and is experienced in clinical trial methodology, submissions to medical ethical committees, writing patient oriented study information and recruitment of patients, coordination of the execution of clinical studies, and statistical analyses of outcome data. Toon Smetsers is a molecular biologist with a PhD in medical sciences. He has 13 years of experience in assay development, manufacturing and validation of IVD-CE and FDA compliant assays. He is Senior Scientist Assay Development at Innatoss. Within the ID-lyme project he will be involved in the development, optimisation and validation of the cell-mediated test to detect active Borrelia infection.